Percy’s second sizzling quest fighting ancient monsters in 21st century style. Percy’s had a quiet year. Not a single monster has set foot in his New York City school. But out of the blue, a game of dodgeball with some cannibal giants turns very ugly. And worse is to come. Somebody has poisoned the magical pine tree which protects Half-Blood Hill’s borders. The only cure is the mythical Golden Fleece – lost across the terrible Sea of Monsters. Can you guess who is going to tackle the deadly quest of finding it? 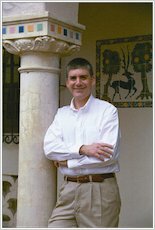 Rick Riordan is a teacher and a writer, and has won many awards for his mystery novels for adults. He says that the idea for Percy Jackson and the Olympians: The Lightning Thief first came to him while he was teaching Greek mythology at middle school in San Francisco. But rumour has it that Camp Half Blood actually exists, and Rick spends his summers there recording the adventures of young demigods. 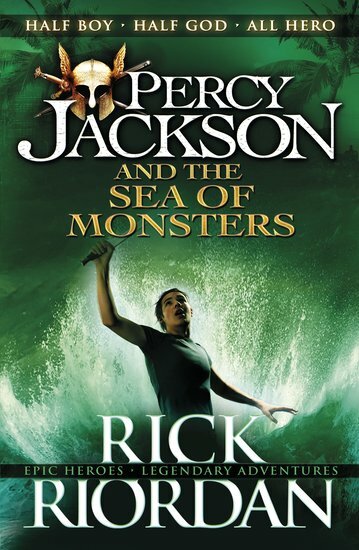 Some believe that, to avoid a mass panic among the mortal population, he was forced to swear on the River Styx to present Percy Jackson’s story as fiction. Rick lives in Texas (apart from his summers on Half Blood Hill) with his wife and two sons. i am reading this at school and i find it really good but some parts didnt need to be added . Great book though i recommend reading it . If you want to find an ancient book? Here it is!